More bad news for Blue Apron: People cackled last July when analysts not-jokingly said that the going rate for the company’s shares ought to be about two bucks. The idea that the leading meal-kit company could be so, um, affordable seemed surprising. Well, those analysts know a bad deal when they see it: Blue Apron had a new all-time worst trading day yesterday, closing the day at just $1.80 per share. It’s been a comedy of errors for the company since going public: The IPO occurred within weeks of Amazon announcing it was buying Whole Foods. Execs also talked a really big game beforehand, giving their company a high-end valuation of $3.2 billion until shares debuted for … ten bucks a pop. Blue Apron also lost many customers (250,000 in less than a year) while being plagued, separately, by steep operating costs at its distribution centers that ended in a round of layoffs. It also got sued, multiple times. 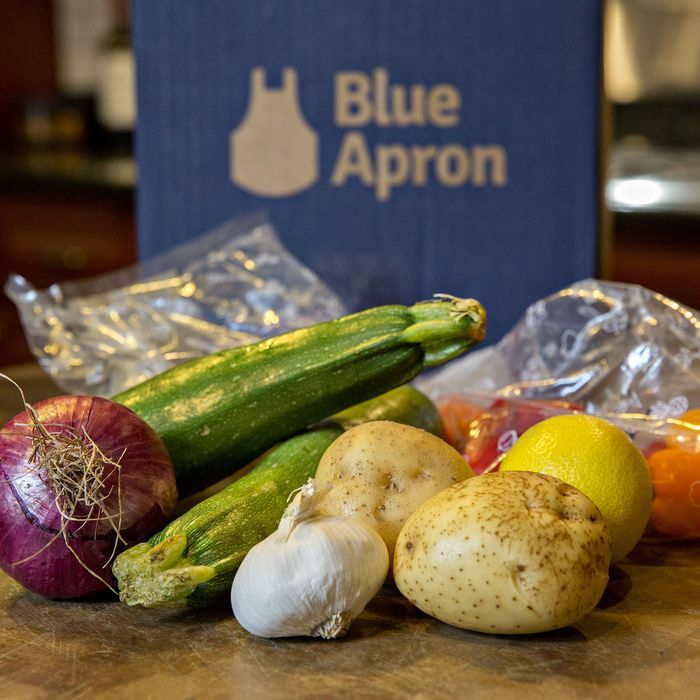 The meal-kit industry as a whole is in broader decline, but things are especially bad for Blue Apron, due in no small part to its prominence. It recently announced plans to sell meal kits in grocery stores, basically canceling out the big perk its business model offers (home delivery), and now it looks like HelloFresh, that German meal-kit upstart with aspirations of “becoming the clear No. 1 player” in America by 2018, is already well on its way: Data provided by analysts at Earnest Research shows that, as of the end of February, it commands a third of the market share (up by almost 10 percent in the last year), while Blue Apron’s percent of the pie has fallen from 48 to 35 in the same period of time.